Life is busy and keeping track of birthdays can be a challenge. That’s why we decided that for Paper Pumpkin’s sixth birthday, we’d create our Poppin’ Birthday kit to make sure you have plenty of adorable cards to go around. What better way to help your loved ones feel awesome on their special day than with a handmade card from you? And the free stamp set was just icing on the cake. So open your kit today and let the celebratory cardmaking begin. Watch our video to see how it’s done..
Aren’t those just the cutest cards!! Stop back tomorrow and I’ll share a fun alternative card with you. 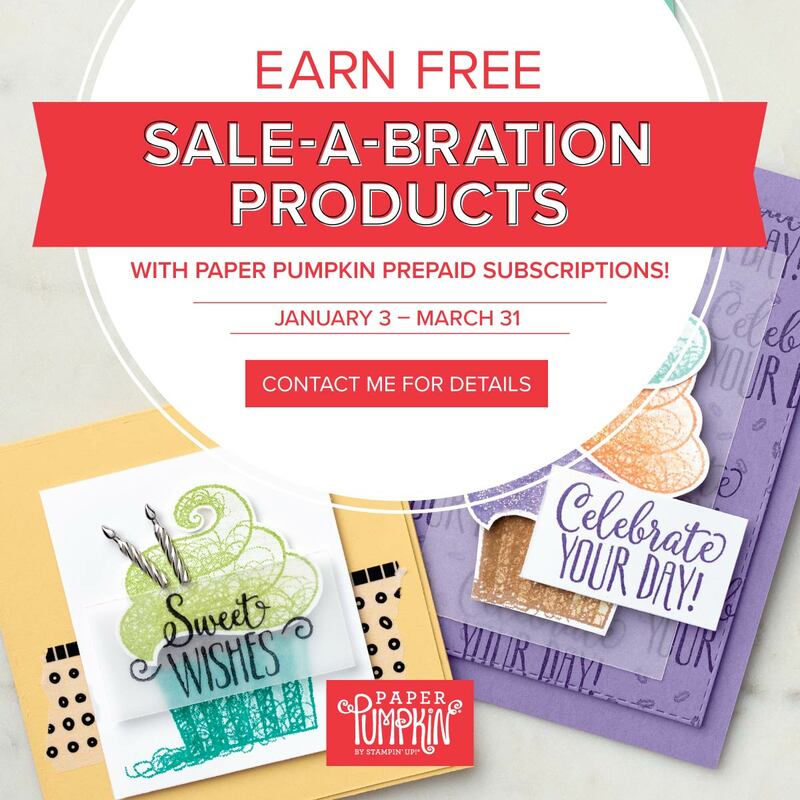 Don’t forget that you can earn FREE Sale-a-bration items when you purchase the Paper Pumpkin subscriptions.